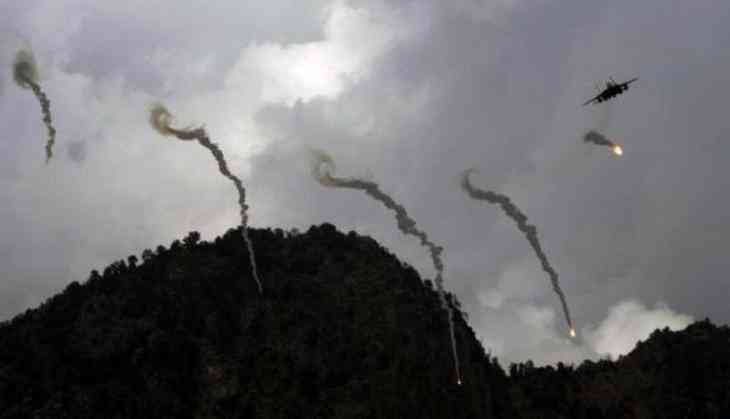 Two key leaders of the Taliban insurgents, along with 14 others, have been killed in airstrikes conducted by the United States forces in the eastern Laghman province of Afghanistan. The prominent leaders killed in the airstrikes were identified as Tangna and Haji Gul, the Khaama Press reported. The officials of the Afghan security forces in the eastern province have said that the militants were targeted during the counter-terrorism clearance operations. They further said the insurgents were attacked when they were trying to smuggle weapons and ammunition. At least four insurgents were also wounded and several weapons and ammunition were destroyed in the airstrikes, the Officials said. Taliban has not commented on the attack so far. Relatively a calm province in Eastern Afghanistan, Laghman has seen a sudden rise in attacks by the insurgents. Earlier, the security forces killed as many as 45 Taliban insurgents and injured more than 20, during the Silab-5 operations by the security forces in the Laghman province. The operations were conducted near the towns of Basram, Katal, Maidani, Qasaba, Salim Gar, Noori and Alingar. 'Pretty Little Liars' actor arrested for gun violence. READ NEXT >> 'Pretty Little Liars' actor arrested for gun violence.